There are things you can see with your own eyes and still not believe, like when a fourth-generation Toyota Supra sells for nearly $200,000, or—well, you get the point. 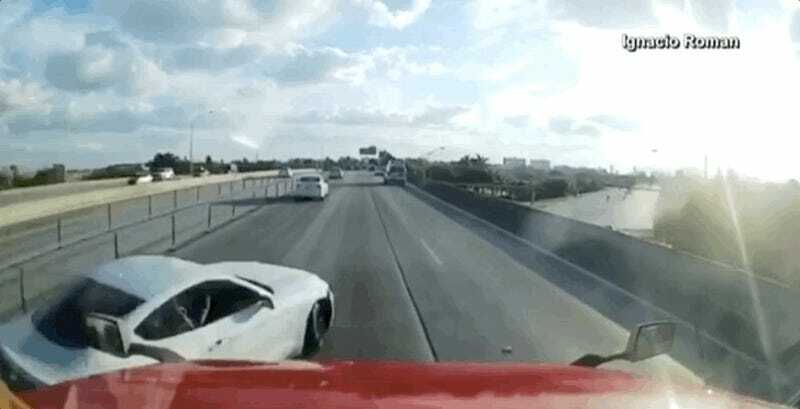 This Ford Mustang doing a near cinematic spin in front of a semi in Florida, then driving away like nothing happened, is one of those things. There are plenty of life lessons we could get out of this one, such as: If you’re going to do something irresponsible, at least let it be an action that doesn’t put others at risk of harm, or worse—like spending nearly $200,000 on a 25-year-old car, for example. Sure, no one will be able to grasp the logic behind it, but at least they won’t get physically hurt in the process.